In June and July, Feng performed three concerts – a recital, concerto and a chamber appearance – at the Kissinger Sommer Festival in Bad Kissingen, southern Germany, where he was Artist in Residence in 2014. “It was unbelievable to watch the precision and musical creative energy with which Ning Feng performed this mountain of notes without breaking a sweat, as well as his delivery of the spectacular spiccato passages. We marvelled at how he developed an absurdly fast but yet not rushed prestissimo in the runs of double-stopping and also in some of the fantastically delicate harmonics, how he climbed the heights of the G string in the wonderfully singing Adagio espressivo so as not to alter the timbre with a change of string – a small trick with a major effect. 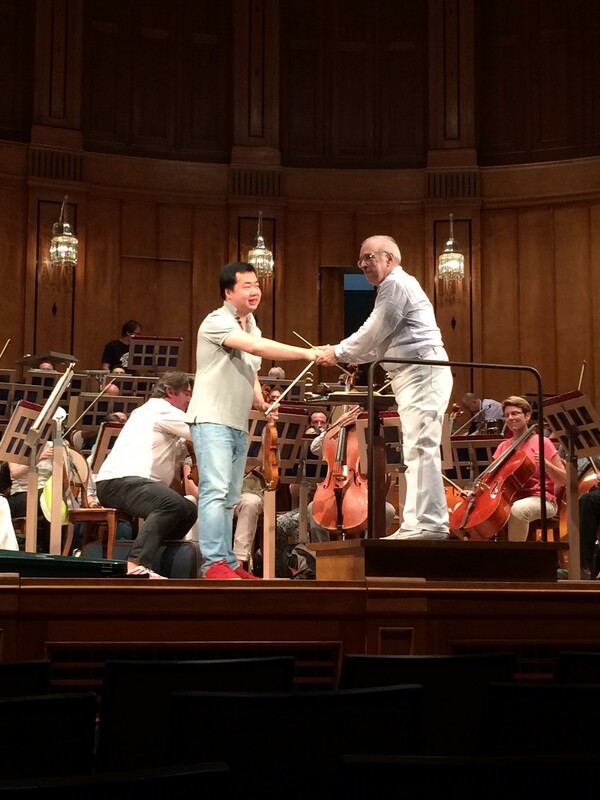 Image: Feng on stage with Lawrence Foster in Bad Kissingen.